For quite some months now, all I could hear about was charcoal. Charcoal based face mask, charcoal shampoo, charcoal face wash and so on. 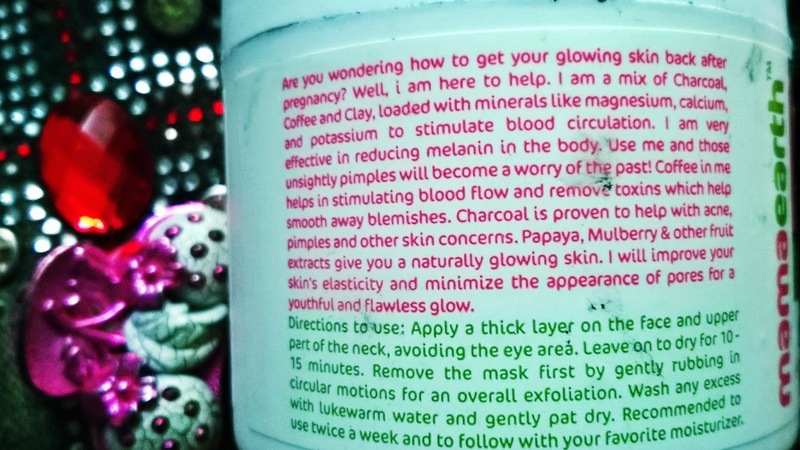 It is the most trendy beauty ingredient nowadays, it seems. After all, with claims of deep cleansing, easy exfoliation and leaving behind baby soft smooth skin, why won't it become an integral part of every beauty addict's arsenal :) And so, finally I took the plunge with 2 charcoal based products. The first one of these is Mamaearth C3 Face Mask with Charcoal, Coffee, Clay and Fruit Extracts. Packaging of Mamaearth C3 Face Mask is simple and spill-free in a bulky little tub container. I was happy to see it was quite nicely filled to the brim with the product. Might not be very travel friendly. Ingredients list is choc-a-bloc with loads of beneficial ingredients such as Kokum Butter, Apricot Oil, Kaolin Clay, Niacinamide, Mulberry Extract, Cucumber Extract, Papaya Extract, Basil Oil, Peppermint Oil, Eucalyptus Oil, Glycolic Acid, Citric Acid, Caffeine, Activated Charcoal Powder...Phew, that is a lot of brightening and exfoliating ingredients! Best Part- There are no Parabens, Phtalates, SLES, Mineral Oil, Dyes and Fragrances. Claims are it helps to reduce melanin, remove toxins, lessen pimples, give a naturally glowing skin, improve skin elasticity and minimize appearance of pores. Availability is not very common, I have not seen it in stores like Big Bazaar, but it is available online at Amazon for Rs. 537 for 100 ml. Quantity is very good, lasts for 3 months even when used in a thick layer on face and neck twice a week. Very Value for money! Usage - Feels cool on applying. I apply a thick layer on my face and neck and just let it soak in my skin for 20-25 minutes. 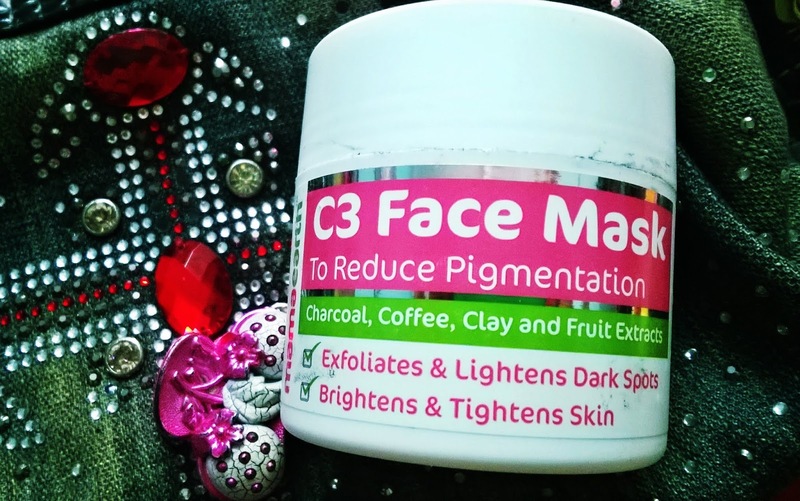 Unlike most other clay masks, Mamaearth C3 Face Mask does not dry up and stretch the skin. Rather, it feels moisturizing till the very end. It takes a little effort to wash it off and is messy, as is expected from any clay based mask. But surprisingly, the face feels so cool and light after washing it off, completely unexpected from a clay mask. Effect - I have not been expecting any kind of miracle. But this mask made me so happy, I am going to recommend it to everyone. 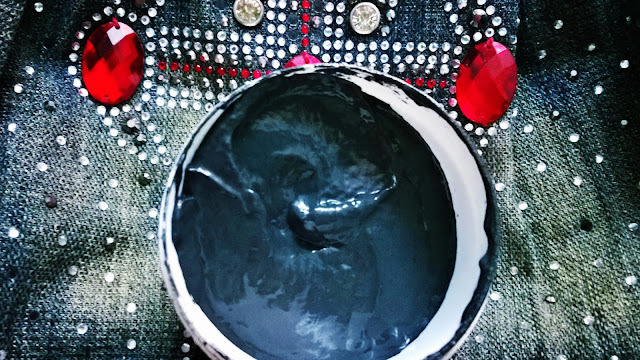 Clay, Charcoal, Coffee being the main ingredients and a ton of other wonderful ingredients make it a superbly brightening and moisturizing face mask. My weird, sensitive, combination, acne-prone skin simply loves it and I am sure it will be wonderful even on oily as well as dry skin types. It deeply cleans skin instantly and also mildly exfoliates (which is best for my sensitive skin as I can no longer use harsh scrub particles on my face). Best for all skin types, from dry to oily and sensitive, combination, acne-prone too! Made in India brand, so much better than imported beauty brands with ton of chemicals! Recommended -YES! Mamaearth C3 Face Mask is one product that is a must-have for everyone, age and gender no bar :) Rating is 5/5.